How do I add additional users to Ooma Office? User: Assigned to individual employees (including their own unique extension, voicemail, personal phone number, and personalized login for the Ooma Office web portal). Ring group: Direct incoming calls to multiple users (great for companies with multiple departments). Conference server: With a conference server extension, you can set up multiple conference rooms. This extension type comes with a dedicated phone number. To learn more about adding extensions with Ooma Office, visit our extended list of FAQs to see additional options. How to set up a conference call with Ooma Office. How to forward a call with Ooma Office. What business features are included with Ooma Office? 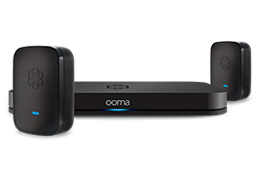 How is Ooma Office different from other phone service providers?